Note that "Military Glory" is enforced. 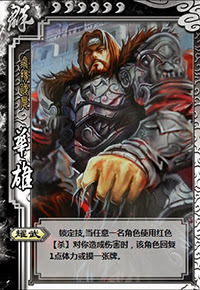 New Hua Xiong cannot choose to 'turn off' this ability. 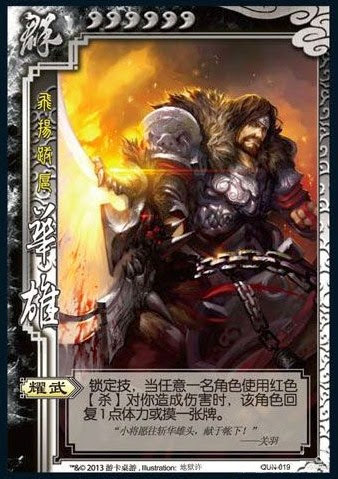 New Hua Xiong is an improvement over the original version, but he still is not outstanding. He still has the same problem that he has no 'action' abilities. There is little he can do to benefit his team other than holding extra Peaches and Negates due to his increased maximum health level.